Kim releases video of Kanye and Taylor Swift’s phone call. 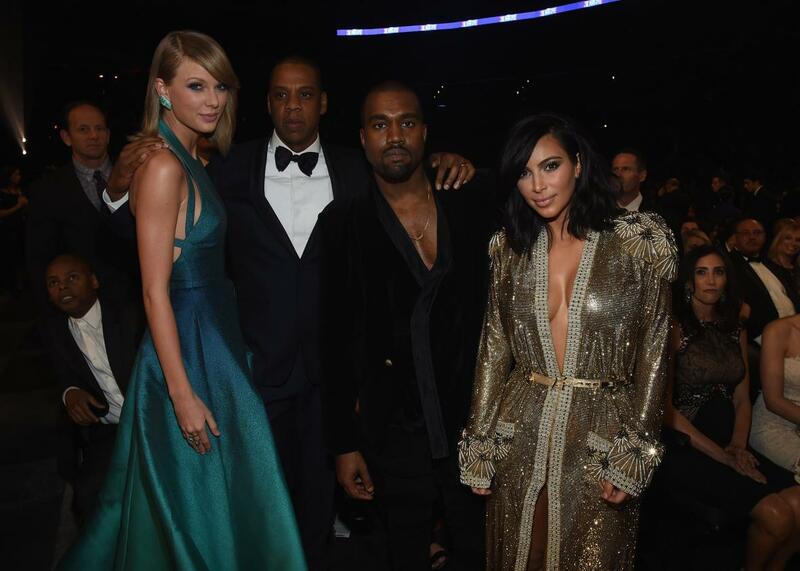 Happier times at the Grammys in 2015. At the Grammys, Swift may have obliquely referenced Kanye in her album of the year acceptance speech, which cautioned against “people along the way who will try to undercut your success or take credit for your accomplishments, or your fame,” further paving the road to ruin. As the casualties mount, the world hopes against hope that our feuding celebs can somehow find a peaceful resolution. But until that bright and happy day arrives, we’ll all apparently continue to closely monitor the situation, for some reason. *Correction, July 18, 2016: This post originally embedded a tweet from a fake Katy Perry Twitter account. The fake tweet has been replaced with Perry’s actual tweet. In addition, Selena Gomez’s first name was misspelled.